Whether you picked up a Pebble Time for Christmas or in the Boxing Day sales, you're still probably getting to grips with what your shiny new smartwatch can actually do. You'll probably notice that the latest Pebbles are packing a built-in microphone but its uses are currently limited to responding to notifications with a brief voice memo. Pebble doesn't currently offer a native alternative to Siri on the Apple Watch or Google Now on Android Wear. Fortunately, developer Matthew Reiss who has worked on apps like Tripadvisor and Yahoo! Fantasy Football, has come up with a pretty good solution and it's called Snowy. 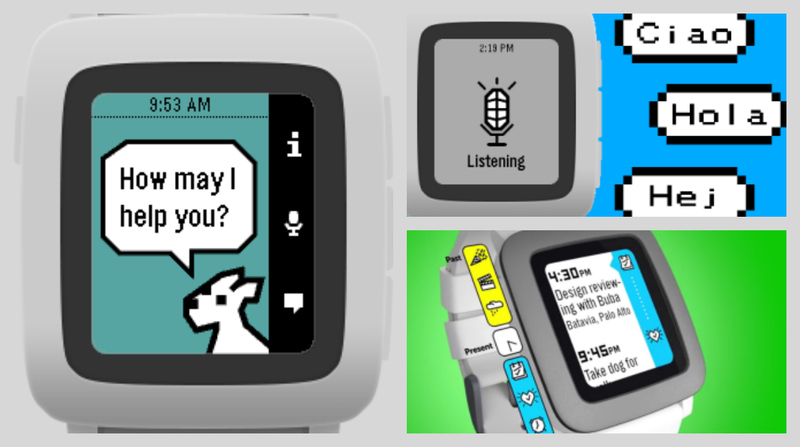 Available to download from the Pebble app store, Snowy will only work with the microphone-packing Pebble Time, Time Steel and Time Round. Harnessing the same Nuance-powered dictation technology used by Apple's personal assistant, the app can handle a number of voice commands including the ability to find out the date, set alarms and check in on the football scores. It's also integrated with Pebble Timeline letting you arrange reminders, add events to your calendar and take notes. There's also IFTT support letting you control smart home devices and is already compatible with Philips Hue lighting and Nest's smart thermostat. Snowy currently only works with commands in English but does let you translate phrases into different languages, which should come in handy when you're taking your Time on your travels. If you want to be able to bark orders at your Pebble, the Snowy app is priced at $2.99 and works with iOS and Android phones. You can find a full list of supported voice commands over on the Snowy website. We've also got a host of helpful guides to get the most from your smartwatch over in our wearable for beginners hub.